Something has always bugged the Naval Diplomat about official strategy documents. Back when I was a whippersnapper of a graduate student, I assumed it was because the framers of such documents inhabited a higher plane of existence than lil’ ole me. That they had tapped into mysteries of politics and war into which I hadn’t been initiated. In those days reading statements of strategy was like listening to some sage intone that “the oxen are slow, but the earth is patient.” Such utterances sound learned, and they’re certainly arcane. But do they mean anything? Hmm. Eons later, as a salt-encrusted scribe of the sea, I still find strategy documents dense if not impenetrable. The biggest problem — pour moi — is that few such directives would pass muster as essays. (Having just read a stack of final exams for our intermediate course, I have essays on the brain.) They’re not page-turners. But they should be. Their drafters should realize that. A core function of any strategic statement — National Security Strategy, Quadrennial Defense Review, Maritime Strategy, whatever — is to explain American purposes and power to key audiences, not just within officialdom but among the electorate and to friends, neutrals, and potential adversaries overseas. And it should do so in compelling fashion. How? By attending to basic craftsmanship, for one thing. Like a lone essayist, a directive’s authors should lay out a sensible thesis at the outset, mapping out what readers should expect to find, and arrange the components of the document in some intelligible order. The text should follow that roadmap, tracing the arguments inexorably to their conclusion — namely that the United States will deploy some reasonable amount of resources in some realistic manner to fulfill some attainable strategic goals. The document should leave the guys in the white hats chanting U-S-A! U-S-A! by the end, the villains sputtering about being foiled again! and vowing to get even next time. Wordsmithing matters. In short, a strategy should be a good read. Don’t kid yourself: this can be, and has been, done. 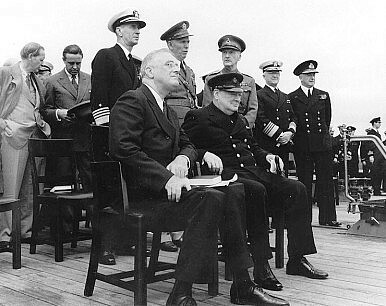 Before the United States entered World War II, for example, Chief of Naval Operations Harold “Betty” Stark sketched the rationale for a two-ocean, Europe-first war. And he did so in very few pages. Admiral Stark’s “Plan Dog” memorandum is a classic in this genre, a marvel of concise, spare language. That’s why we read it with our students three-quarters of a century hence. Strategies can be literary works. Like an essay, then, a strategy’s components should proceed in logical sequence. That presumably means from broad and grand to narrow and specific. From ends to ways to means, in other words. It should elucidate how America intends to match purposes with power. And it should do so in sprightly, jargon-free prose. What you often get instead are lists. Lists of geographic theaters, lists of lofty goals Washington will seek there, lists of assets. Etc. Seldom is there much about the mechanics of how to execute the strategy, bringing about all these wonderful things in the face of determined opposition. Oftentimes it goes unmentioned that there is opposition. Without some theory of causation — if the United States does X, it will produce Y strategic result, overcoming interference from red team Z — a strategy document underwhelms. Two observations. One, declining to name prospective red teams — those who oppose U.S. strategy in part or in whole — may be a laudable thing in diplomatic terms. The upside is that you keep open the possibility of more cordial relations with, say, a China. The downside is that refusing to admit that strategic competition exists reduces that opponent to a potted plant. You can do what you want with a potted plant. It’s an inert thing that can’t react. Living, breathing, thinking — that is, real — opponents will do their damnedest to thwart you. Overlooking the interactive nature of strategic competition amounts to unilateral intellectual disarmament. Strategy loses focus. And two, old adages have it that too many cooks spoil the soup, and that a camel is a horse designed by a committee. Quite so. Bureaucratic politics is one reason listmania pervades strategic directives. Global powers take on numerous commitments around the world. A constituency coalesces to advocate for every commitment, and every constituency presses for its interests to be spelled out in writing. And, human nature being what it is, backers of a particular endeavor tend to see it as the indispensable priority. The obvious solution for those assembling a strategy: list every theater, endeavor, and asset without ranking among them. That spares you from having to declare that one place or thing is more important than another. It’s the bureaucratic path of least resistance. Trouble is, it muddies what should be a coherent narrative about purpose and power. Just as worrisome, bureaucratic compromise flouts the principle of concentration of effort. At its most basic, effort is the rate at which America expends resources on an enterprise and the length of time it expends them. If listmania prevails — if the nation proliferates commitments willy-nilly while refusing to set priorities — then it spreads itself thin trying to do everything, everywhere, at all times. Better to concentrate on the highest priorities and admit that some priorities are less vital than disperse resources into irrelevance. So what’s the solution? Part of it is simply recognizing that dense, vague, poorly written documents are a problem with significant consequences. This isn’t just about cosmetics. Subpar directives subtract value, impairing understanding not just among the strategy’s executors but also among important audiences, foreign and domestic. A shift of outlook toward writing could work wonders in correcting this problem. Make it so. The other part is for senior leaders to be heavier-handed in the strategy-making process. By all means, let them seek counsel from all stakeholders in the process. A lively conversation yields the best input. But at the same time, a single cook or a compact, like-minded group of cooks stands a better chance than a massive team of whipping up some edible soup. The executive chef needs to be the executive chef. Why not take a page from Betty Stark’s book? Bureaucracy’s Plan Camel holds little interest. But a latter-day Plan Dog memorandum — now that would be a strategy worth reading.